Is Constipation a Side Effect of Vitamin D? My Vitamin D level is 8 ng/ml. My doctor put me on once a week pill 50,000 units plus additional 1,800 by mouth a day and I've been taking it for 5 weeks now. I have been experiencing severe constipation for the past 2 weeks and cannot go on my own. I have been needing enemas and laxatives. Could I be getting too much? Comments for Is Constipation a Side Effect of Vitamin D? So, it is extremely unlikely that you are taking too much vitamin D. You are taking about 7000 IU's per day and there has never been a documented toxicity in anyone taking less than 10,000 IU's per day. Vitamin D toxicity is not defined by the SYMPTOMS you experience, but by a high blood level accompanied by a high calcium level. So, you are likely just using up magnesium quickly because you NEED the vitamin D. So, you may be able to remedy the situation very quickly by buying following the instructions on the Magnesium Dosage page. Problem solved at its source. I have the same problem after taking vitamin D.
800 mg.plus. Has not helped one bit. Simply because you are taking 800 mg's of magnesium does not mean that that is 'High Dose' for YOU. You could be EXTREMELY deficient and need much more than that. Also, most people take magnesium oxide, which is poorly absorbed, so 800 mg of magnesium oxide is going to actually get your body less magnesium than 800 mg of a good source of magnesium that is absorbed well. Please read my Magnesium Dosage page.
. She takes upwards of 1200 mg per day in order to meet her needs. So, while I don't recommend you take that high of dosages of magnesium without getting magnesium levels to ensure that you are not getting a Magnesium Overdose, it IS possible that you are still magnesium deficient- and/or you need to drink more water, get more exercise and take a fiber supplement to help with your constipation. I take 50,000IU two times a week (Tues. and Thurs.) That's a 100,000IU per week. I have not any new medications to my diet except this vitamin in this quantity. Now, I am so constipated that I bleed from straining. I have never been this constipated in my life. I believe it's due to this vitamin which was prescribed by my gastroenterologist. My vitamin D level was 24 at the time he prescribed it. In order for vitamin d to be converted into its active form in the blood, it REQUIRES and USES UP magnesium. Most of the western world already has a mild magnesium deficiency and when they take vitamin d, it makes a previously mild problem of magnesium deficiency become worse. And one of the Classic signs of magnesium deficiency is constipation. The likely answer to your problem is that you are mildly magnesium deficient (as most of the western world is), and it takes magnesium to convert vitamin D to its active form in the blood. So, you are likely just using up magnesium quickly because you NEED the vitamin D. So, you may be able to remedy the situation very quickly by following the instructions on my Magnesium Dosage page. I'm so glad to hear that other people are constipated from vitamin D, too. What are some natural sources of magnesium? I'm also taking Tamoxifen, which could contribute to the problem. Not sure what you mean by 'natural sources'. I'm not sure what you mean by 'natural sources'. If you mean in food, if YOU could get enough in food, then you wouldn't be deficient right now. 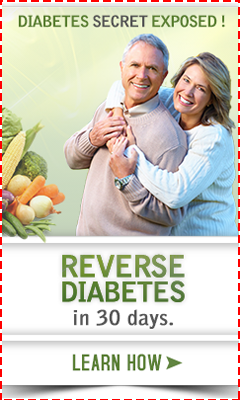 If you are interested in correcting your deficiency, then please read my page on Magnesium Dosage page. A year ago I was Magnesium deficient (later found out I was also severely vitamin D deficient) due to IBS. I had fibromyalgia symptoms for years because of it. If you suspect you're deficient take a supplement and see if you get better, don't mess around with it. Magnesium malate is the best source [for ME, maybe other sources are better for other people], you can use Jigsaw Health's Extended Release Magnesium Malate which is a terrific forumulation. Besides deserving to be vitamin D deficient (I don't drink milk or orange juice, I don't eat fish, I live up north and had been avoiding the sun, etc) [Kerri's note: I don't know that anyone 'deserves' to be vitamin d deficient, you just happened to not know any better and now you do] I now understand that you can't properly utilize vitamin D without proper blood levels of magnesium. So what little I was getting wasn't being used. All I can say is, what a world of difference PROPER nutrition can make!! My vitamin D level was 19 I was given 50,000 to take once a week for four weeks. Constipation is bad now but I became worried when googled it said blood clots and kidney problems could occur so I only took one dose and am taking regular 400 units of d3 and now I'm afraid because I stopped taking the prescribed. I take two of the 400 IU's a day and am worried either way. What do you think. I think that taking 800 IU's a day in order to avoid the side effect of Vitamin D and Constipation will leave you both vitamin D deficient and magnesium deficient. Instead, you should correct both of your deficiencies instead of neither one. 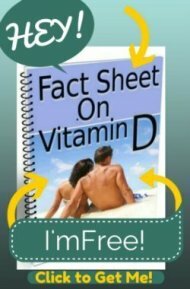 Read my page on Vitamin D Therapy to see how.